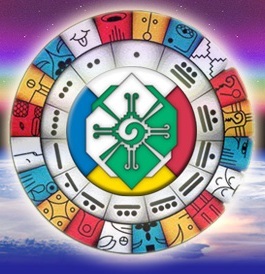 Today, August 11, 2012 I just learned is the official 25th year of the original Harmonic Convergence held in 1987 on August 16 &17th. This global event was promoted by Jose Arguelles. Dwayne’s work has been revealed to him by his direct experience of the symbolism of the Tzolkin, the Mayan calendar. “…Reading the hieroglyphic code aligned with that Temple gives us clues regarding the significance of this important date revealed to us from deep within Mayan cosmology. I walk the path of death and revelation. Duality does not bind me. Harmony is the rhythm of my soul. To manifest here on Earth. To compassionate service of the planetary whole. May my service to her endure, in clarity, and in truth. It is my fondest wish that we all ‘get it!’ that we all become empowered to tranform ourselves and our world during this profound time of global shift. This entry was posted in The Shift and tagged 13 Moon Calendar, August 16, Earth, Harmony, José Argüelles, New Age. Bookmark the permalink.